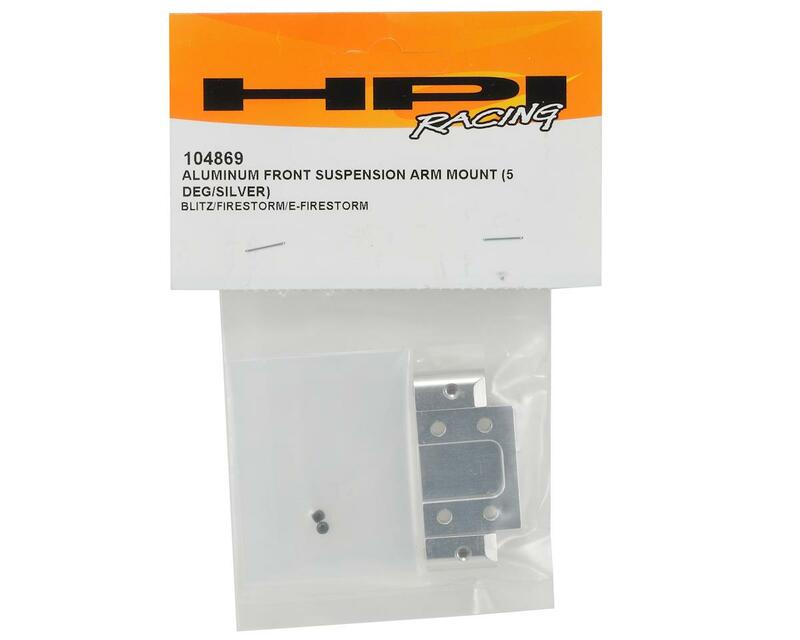 This is an optional HPI Aluminum Front Suspension Arm Mount, and is intended for use with the HPI Blitz and Firestorm trucks. Bolt on this Aluminum Front Suspension Arm Mount for quicker steering response. 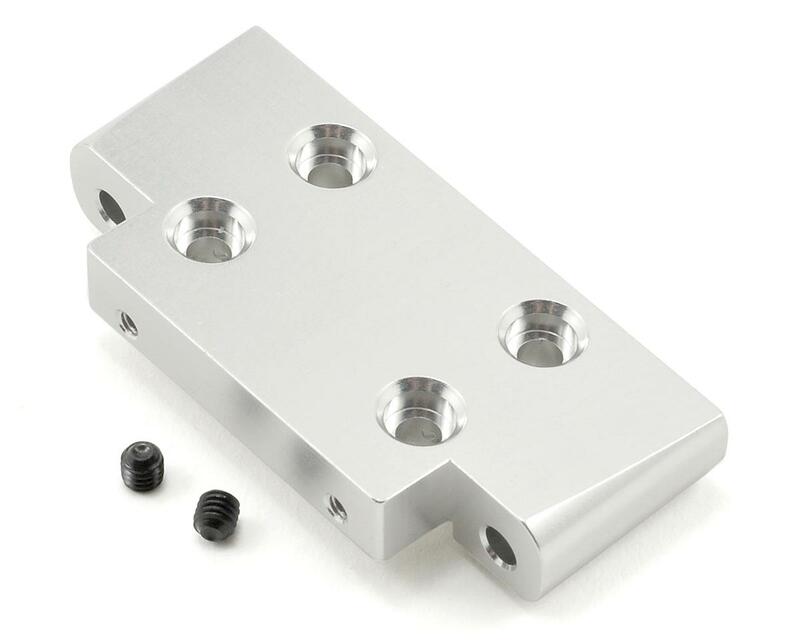 This part replaces the stock plastic mount with a heavy duty machined aluminum mount. The stock front kick-up is reduced by 5 degrees when using this mount. It can also be used on the BLITZ ESE to replace the stock 0 degree aluminum front mount.